James Burke is one of my heroes: the BBC’s moon-shot programmes, The Burke Special, The End of the Beginning, Tomorrow’s World, etc. However, it was his Connections programme that really got me. The way that one idea seeded some inkling of another – a tantalising Connection. It was a master-class in how to sneak up on a subject and then to hook the audience with a single line. Brian Clegg is surely cast from the same mould; he’s our contemporary JB. 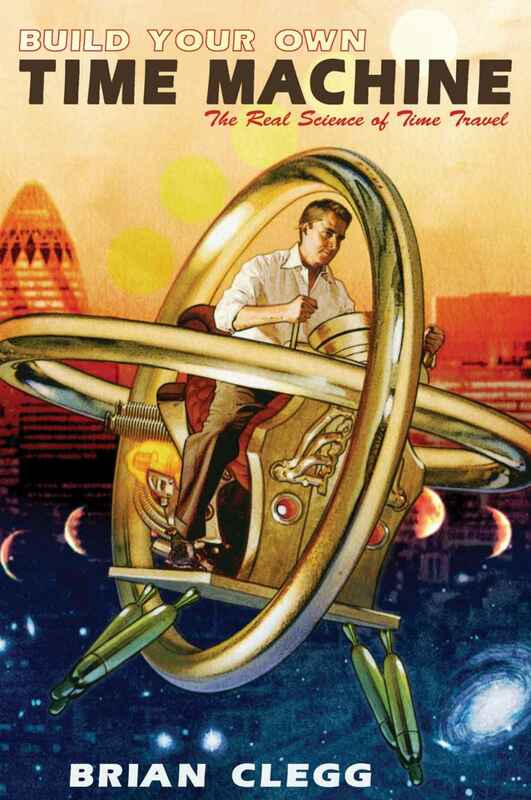 In How to Build a Time Machine we start each chapter with an affirmation: ‘Yes, time travel is possible …’. There’s clarification, ‘ifs’, often detailed historic references; consequences; and then the practicalities – at which point you might have the feeling that it’s not possible after all. But then there’s the ‘Or is it?’ moment, and one cannot but take the bait and turn the page. To name but a few, what does the following have to do with time travel? : near-light speed travel, an infinitely long cylinder built from dust – or a less ambitious one (!) built from neutron stars, wormholes, paradoxes, black and white Holes, antimatter, dark energy…? If you’re like me when presented with such a list – appetite whet to the point of drooling – this is a book written with you in mind! One last and very important point: Clegg is both a writer and a physicist; and it’s as a writer – one who is able to communicate physics to the non-specialist – and that makes this book so very enjoyable. The hard stuff is there, between the lines, but we’re not asked to deal with it – Clegg leads us through, in his own inimitable style. There are just two equations: Einstein’s E=mc2 (of course), and Maxwell’s – the latter because they’re so ‘beautifully spare and simple looking’. Perfect. I’m sure I’ll go back and re-read it. If only I had the time – or a time machine perhaps?